By Adrienne Rivera. May 5, 2016. 9:00 AM. Contrary to common American belief, Cinco de Mayo is not, in fact, Mexican Independence Day, which is actually September 16. Rather, Cinco de Mayo is a holiday celebrating the Mexican Army's victory over French forces in the Battle of Puebla. The battle was fought in 1862 in response to Napoleon III invading Mexico in an effort to claim debts owed and establish an empire in Latin America. While this victory itself did not win the war, it boosted the army's morale and proved to Mexican citizens that their country stood a chance against the greatest army in the world. Today it has come to be a celebration of Mexican culture all around the world, with events held in the United States, Canada, Japan, Australia, and more. This year, try celebrating by reading a few of these Mexican authors. They bring an important perspective to the landscape of both Mexican literature and world literature as a whole. Laura Esquivel emerged as a force in the literary world with the publication of her first novel, Like Water for Chocolate in 1989. The novel follows Tita, a girl forbidden to marry her true love because of a family tradition that the youngest daughter of the family takes care of her mother until she dies, rather than having a life of her own. The novel employs elements of magical realism. For instance, Tita's cooking imbues those who eat it with her emotions. The book also contains recipes for 12 Mexican dishes that relate to their subsequent chapters. 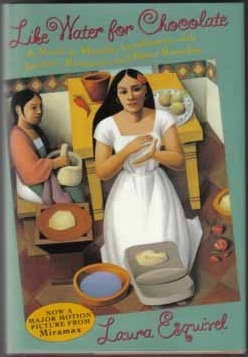 Like Water for Chocolate was a massive success, staying on the best-seller list for three years, and it has been translated in more than twenty languages. A film was made of the novel in 1992. Esquivel's second novel, The Law of Love, is an ambitions multi-media work, combining science fiction, graphic novel, and an audio CD to tell the story of a woman's journey through numerous reincarnations to find her soul mate. She has also written a book of essays on life and food titled Between Two Fires and a novel focusing on the woman who served as Hernan Cortez's guide, Malinche. Octavio Paz is considered one of the most important poets and essayist of the 20th century. In addition to his considerable diplomatic achievements, he published over 20 volumes of poetry and essays in his life time, and edited or wrote forwards and introductions for numerous anthologies. His outspoken political beliefs influenced generations of activists. Paz wrote on politics, Buddhism, sexuality, art, and economics, among other things. In 1956, he adapted a Nathaniel Hawthorne story into a play titled La hija de Rappaccini, which was then adapted into an opera. His poems have been translated by writers like Samuel Beckett, Mark Strand, and Elizabeth Bishop. He was given numerous awards and prizes, including the Peace Prize of the German Book Trade, the Alfonso Reyes International Prize, and the Jerusalem Prize. 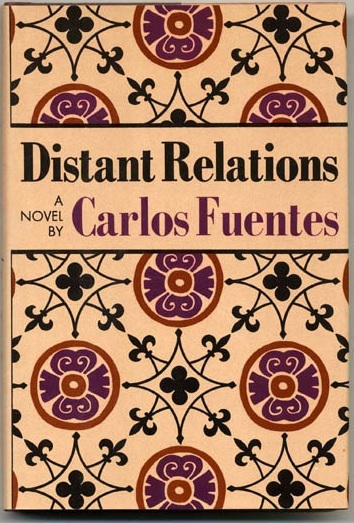 Carlos Fuentes spent much of his childhood moving to and from various Latin American capitols while his father worked as a diplomat and lived in Washington D.C. for a time. He lived in Mexico for the first time at the age of 16 while attending college. In 1957, he received a foreign affairs position, but the publication of his first novel, Where the Air is Clear, allowed him to quit his job to write full time. He most notable works include: The Death of Artemio Cruz (1962), Terra Nostra (1975), and The Old Gringo (1985). He died in Mexico City in 2012. In his life, he wrote over 20 novels, nine short story collections, as well as numerous essays and stage and screen plays. He was awarded the Miguel de Cervantes Prize, the National Order of Merit of France, and was an honorary member of the Mexican Academy of Language, among other prizes. While Juan Rulfo was not a particularly prolific writer—the full collected body of his work totalling less than three hundred pages—he left an enduring legacy with his writing and photographs. He influenced such writers as Gabriel García Márquez, who credited Rulfo's novel as being the driving force that brought him out of the writers block that proceeded his seminal work, One Hundred Years of Solitude. Rulfo began his career as a traveling salesman and as an immigration agent. After being fired for requesting a radio for his company car, he pursued and was granted a fellowship from the Rockefeller Foundation, and during that time wrote two books, a collection of short stories titled En Llano en llamas, and a novel, Pedro Páramo. The novel received unfavorable reviews. While it sold only two thousand copies in the years immediately following its publication, it has since become hugely popular and has been translated into over thirty languages. The English translation alone has sold more than one million copies. Cristina Rivera Garza is extraordinarily prolific, publishing novels, nonfiction books, essay collections, translations, poetry collections, and short stories, as well as an opera. The sheer volume and quality of her work is even more impressive when considering the meta and experimental works she publishes on blogs she has kept since the 1990s and on Twitter, all while having maintained a successful full-time teaching career. She has lived and taught in both Mexico and the United States. These experiences influence her work, which is often a hybrid of genres. She won the Punto de Partida Poetry Competition for her collection Apuntes, was a finalist for the Juan Rulfo Prize, and is the only writer to have won the Sor Juana Inés de la Cruz Prize twice for her works, Nadie me verá llorar and La muerte me da. A favorite of Carlos Fuentes and Jorge Volpi, Rivera Garza's work is not to be missed. Her books have been translated into English, German, Korean, Italian, among other languages.